Following President Obama’s Executive Order 13514, Brightworks audited the Hanford Nuclear Site’s mobile source Scope 3 greenhouse gas emissions and developed a plan to reduce those emissions while reducing costs to Hanford and its employees. At the height of World War II, as part of the Manhattan Project, the United States government built the world’s first full-scale plutonium reactor on the Hanford Nuclear Reservation in southeast Washington. The Hanford site produced the plutonium used in the first atomic bomb ever detonated, at a test site in New Mexico, and in the second, the Fat Man plutonium bomb detonated over Nagasaki, Japan, in 1945. During the Cold War from 1945 until 1991, the Federal government expanded the Hanford site to accommodate nine nuclear reactors and five large plutonium processing plants, which provided the weapons grade plutonium fuel for most of the 60,000 nuclear weapons in the US nuclear arsenal. 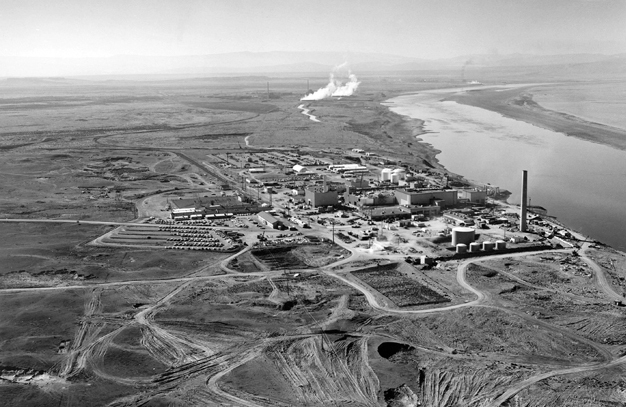 In 1964, following President John F. Kennedy’s signing of the first Nuclear Test Ban Treaty, the Federal government began to decommission Hanford’s weapons production reactors. These reactors were fully decommissioned at the end of the Cold War. Supporting these goals, the executive order also gave Federal agencies the most concrete targets ever (see below), along with the senior-most White House oversight of any executive branch sustainability program. In accordance with the Executive Order, executive branch agencies were required to file annual Strategic Sustainability Performance Plans (SSPPs) with the Office of the Federal Environmental Executive, the Director of the White House Office of Management and Budget, and the Chair of the White House Council on Environmental Quality. As part of the Hanford site’s efforts to comply with the president’s executive order, the Department of Energy retained Vista Engineering Technologies and Brightworks Sustainability to develop a strategy for reducing Scope 3 mobile source emissions. Brightworks audited data on employee commuting patterns between the Tri-Cities and the Hanford Site and quantified the associated emissions. The audit found that the clean-up effort produces a total of 161,663 metric tons of greenhouse gas per year. Commuter travel accounted for 83% of Hanford’s scope III emissions, second in greenhouse gas emissions only to energy used on the site: 32,604 tons result from employee use of single occupancy vehicles for commuting to and from work. 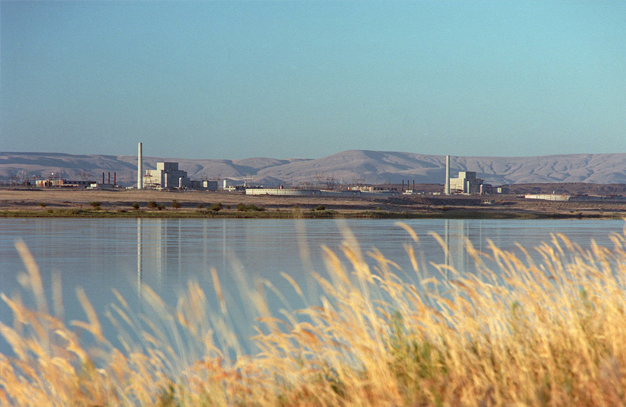 Relocating 2,070 employees, whose job functions do not require frequent access to the nuclear reservation, from the Hanford site to downtown Richland, WA. This eliminated 7,000 metric tons of carbon dioxide equivalents, or 21.5% of Hanford’s scope III emissions. Those employees eligible for relocation perform job functions that do not require frequent access to the nuclear reservation. Increasing vanpool usage from 17% to 25% of Hanford employees, eliminating 6,817 metric tons of carbon dioxide equivalents, or 20.8% of Hanford’s scope III emissions. 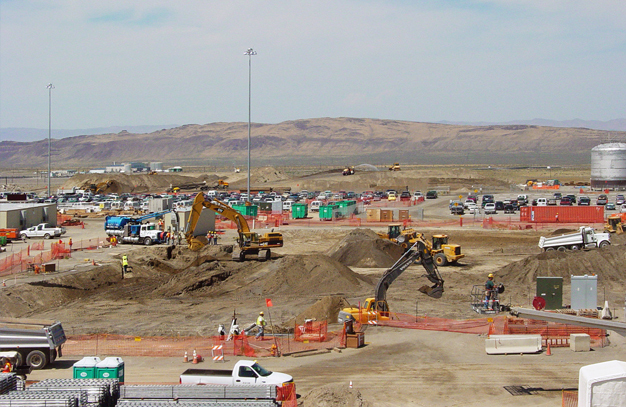 Two-day-per-week teleworking for non-union employees equipped with secure network connections and required hardware and software platforms, eliminating 2,267 metric tons of carbon dioxide equivalents, or 7% of Hanford’s scope III emissions. Increasing carpools of at least two employees per vehicle, eliminating 800 metric tons of carbon dioxide equivalents, or 2.5% of Hanford’s scope III emissions. Buspooling for work groups in vehicles provided by the regional public transit provider, eliminating 617 metric tons of carbon dioxide equivalents, or 1.9% of Hanford’s scope III emissions. Reduce petroleum consumption by 2% per year through FY2020 (applies to agencies with fleets of more than 20 vehicles) over a FY2005 baseline. Reduce potable water intensity by 2% annually for a total reduction of 26% by FY2020 over a FY2007 baseline. Reduce industrial, landscaping, and agricultural water intensity by 2% annually for a total reduction of 20% by FY2020 over a FY2010 baseline. Achieve 50% or higher diversion rate of non-hazardous solid waste by FY2015. Achieve 50% or higher diversion rate of construction and demolition materials and debris by FY2015. Ensure at least 15% of existing buildings and leases of over 5,000 square feet meet the Guiding Principles for Federal Leadership in High Performance and Sustainable Buildings FY2015. Ensure 95% of all new contracts, including non-exempt contract modifications, require products and services that are energy-efficient, water-efficient, bio-based, environmentally preferable, non-ozone depleting, contain recycled-content, non-toxic or less-toxic alternatives. Implement and achieve objectives in EPA’s Stormwater Management Guidance (§14).